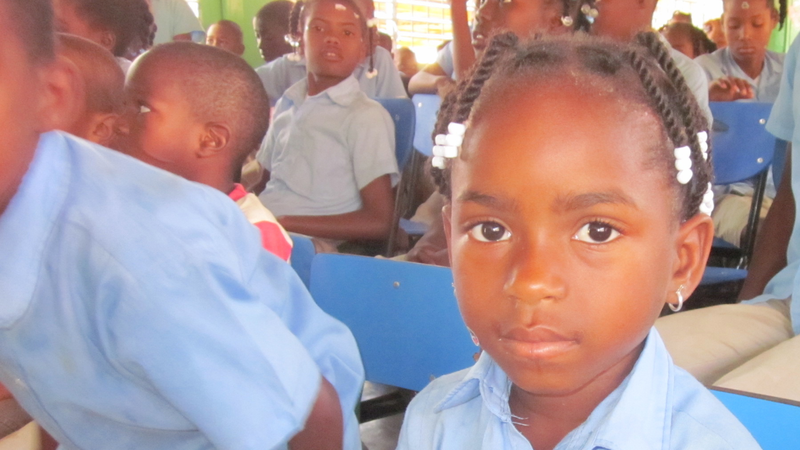 This holiday season we’re asking you to renew your support by donating to our annual campaign. 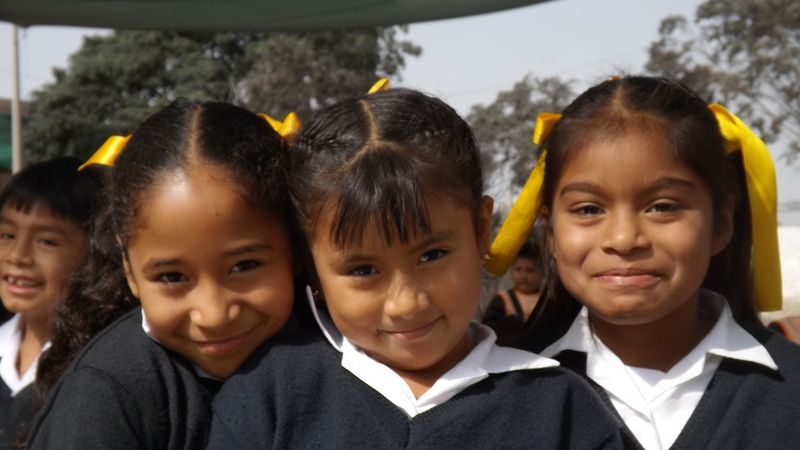 Your donation remains our most valued support and it means a great deal to the beneficiaries. 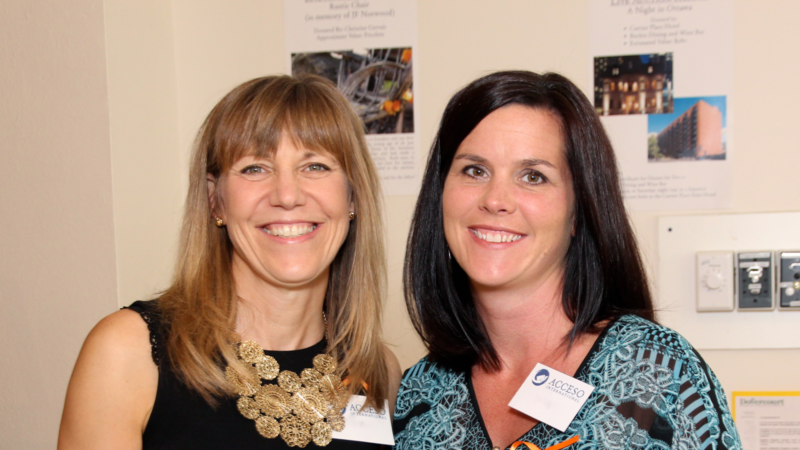 Please consider a donation as part of your holiday giving! 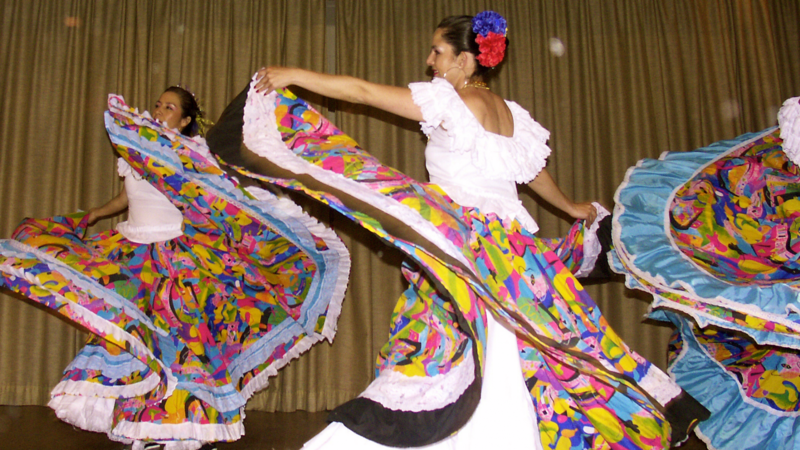 ACCESO International hosts fundraising events throughout the year. 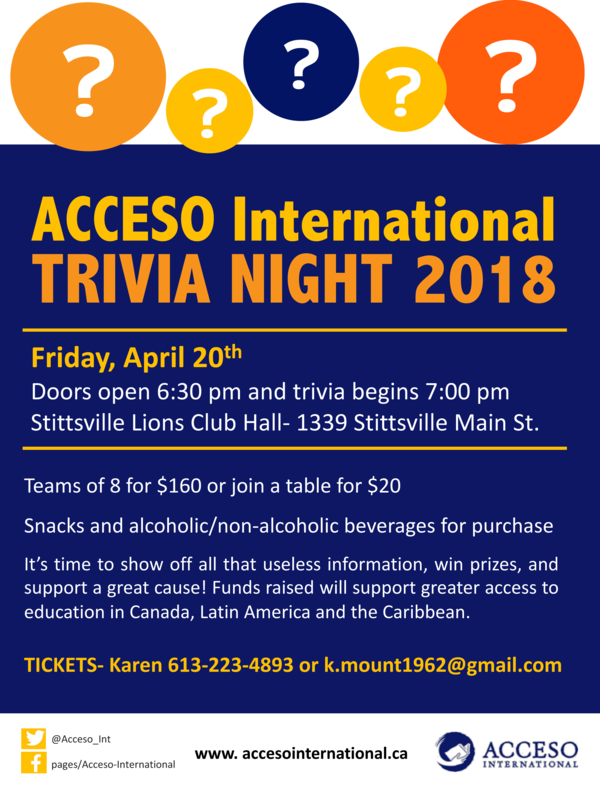 On Friday, April 20th ACCESO International will be hosting another fun and laughter filled Trivia Night at the Stittsville Lions Club Hall – 1339 Stittsville Main Street. Doors open at 6:30 pm and trivia begins at 7:00 pm. Tickets are $20 each and can be purchased via PayPal. 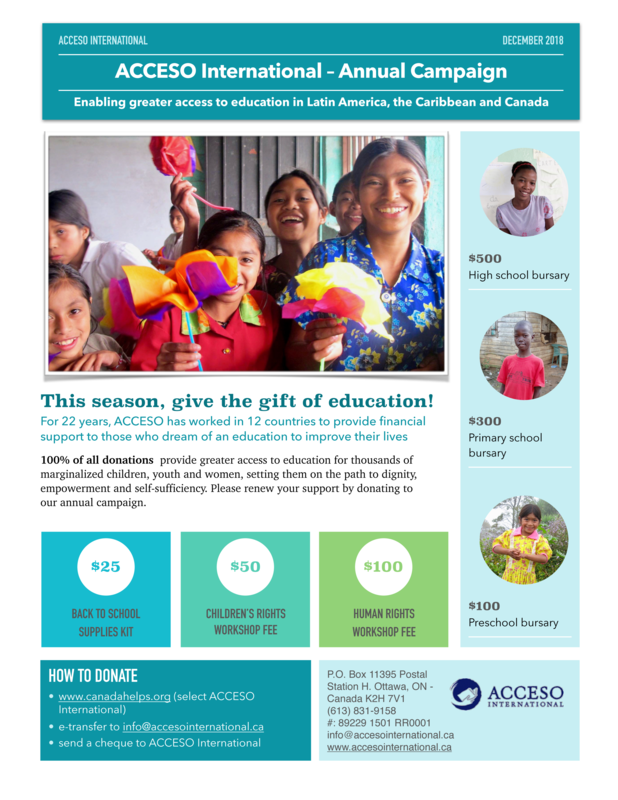 Thank you for inquiring about becoming a volunteer with ACCESO International! As a volunteer you will be joining a dynamic and collegial group of progressively-minded academics, educators, social activists, students and humanitarians. Our volunteer collective operates in a non-hierarchical way according to the principles of equality, solidarity, peace, human rights and social justice. Volunteer meetings are held in Ottawa, Canada.